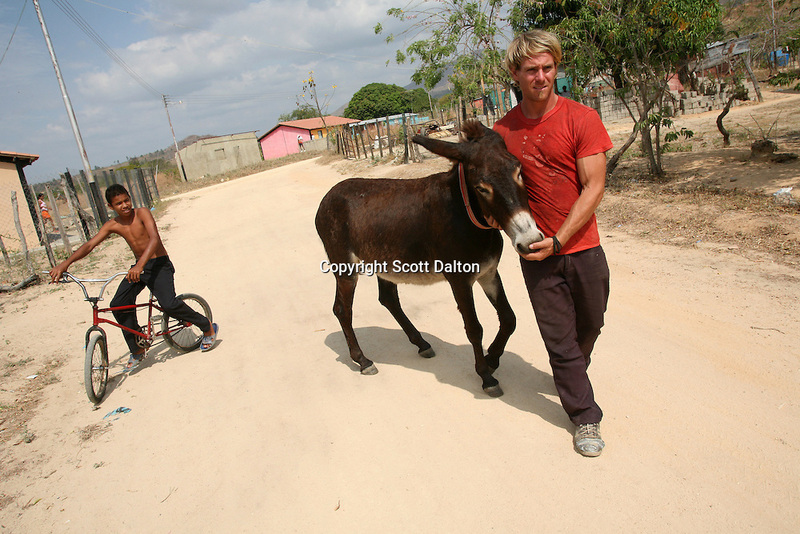 Jonathan Dunham, 33, of Laramie, Wyoming walks with his donkey that he calls Whothey in English but Judas in Spanish, in a poor barrio in Tinaco, Venezuela on Sunday, February 10, 2008. Durham has been walking for the past two years, starting in Oregon. In Mexico he was given the donkey with which he has made the rest of the trek. He plans to continue walking to the tip of Argentina. (Photo/Scott Dalton).